It can’t be easy to be Theresa May. The comparisons to Thatcher, the near obsession with her shoe collection rather than her policies and the famous “bloody difficult” aspersions to name but three. But what about leadership and soft skills? May has steadfastly directed herself away from a gregarious style of leadership, some might say to distance herself from the profusion of affable males at Westminster emanating their soft skills from every pore. Yet in doing so, May is labelled as dull, boring and lacking in essential personality. In fact, May has been disparaging of the term soft skills, preferring to label them management skills. Are soft skills just management skills? And should you have to cast soft skills aside to be taken seriously? For May, her priority comes not in what she says, or in constructing an inviting image but in her actions, saying in a 2012 interview with Total Politics: “I suppose I’m not naturally over-effusive in wanting to go out there and tell everybody my story. Showing that you can do something, that you’re in the job and doing it, is more important than the back-story.” It appears that May has a disregard for the ‘game’, preferring the dispassionate approach that takes individuality out of the equation and focuses on results. May’s focus on work and avoidance of frippery is so absolute that when May does veer into the territory of humour, it is met with outright shock such as in her recent birthday wish to colleague Peter Bone at Westminster, deemed by colleagues worthy of a Carry On film! Some might say that it is May’s perception, even misconception, that soft skills are in some way women focused which makes her wary to use them for fear of being labelled as utilising her feminine wiles, or in any way ‘soft’. Of course, soft skills such as leadership, communication and relationship proficiencies, negotiation and conflict resolution are as applicable to men as to women. And whilst some soft skills may be utilised in management, they are not purely management skills. There is nothing to fear in soft skills, it is perfectly possible to be simultaneously clever, focused and in possession of soft skills- whether as a man or a woman. 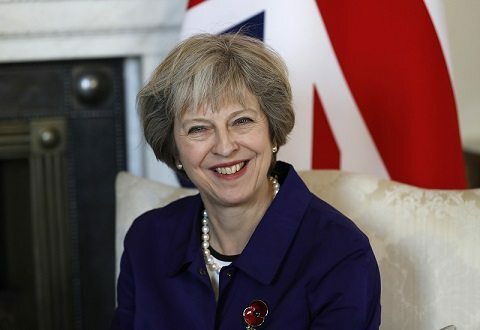 We have already seen that May is able to adapt well, from the cautious ‘remainer’ (with Euro skepticism) to the chief Brexiteer, May is cautious, careful and considered, not bad qualities for a politician by any means. Perhaps though, as May settles into her new role a little more firmly, we will begin to see more of that personality and, dare we say, soft skills emerge.